Is a surviving spouse files a small estate affidavit to claim ownership of property such as a home or plot of land, then the value of the property may be $20,000 or less. However, if other heirs file to claim real estate property, then the value may not exceed $5,000. 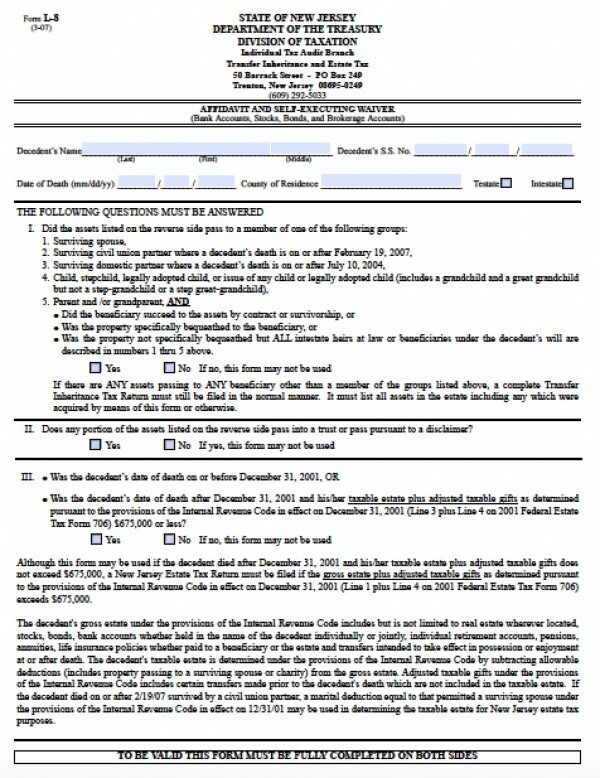 This regulation is governed by New Jersey statute R.S. 46:14-7 and R.S. 46:14-8. 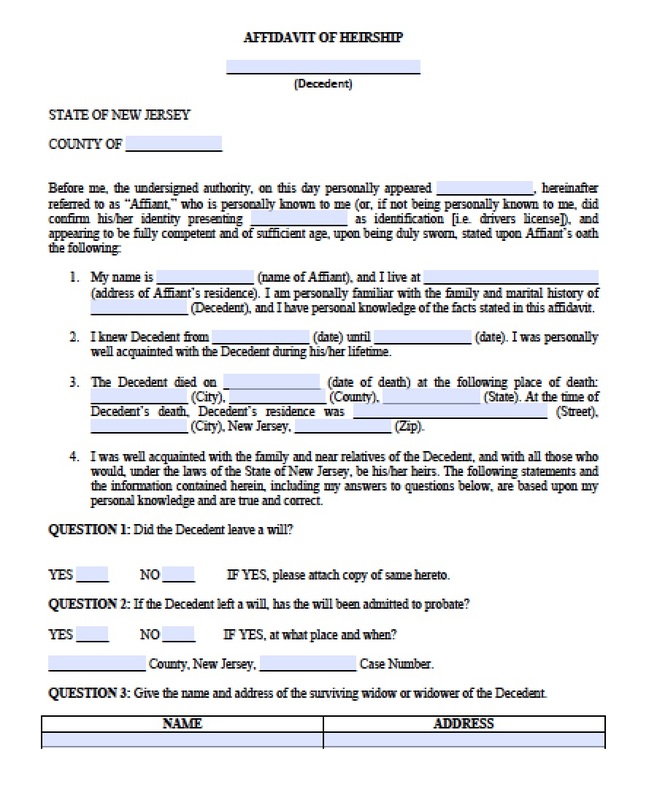 Step 3 – Bring a certified copy of the death certificate and file the form with the proper clerk or courthouse.